Not all online fax services offer a free fax app. But this isn’t the end of the road. 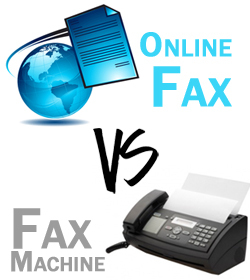 You can still fax online from your cell phone by using a different approach and that is via Email. 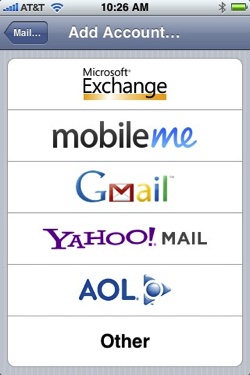 You can use the same email fax providers that offer a cell phone fax app to send faxes from your cell phone via email. Internet faxing allows you to fax through the internet, which means you can also access faxing via your email. Today most cell phone (aka smart phones) allow you to access your email. These service automatically forward your incoming faxes to your email, which you can check on your mobile phone, and you can also send a fax from your cell phone via email as well. Is this expensive? No! Actually it’s cheaper then using a fax machine. These services have different plans depending on how may fax pages you send each month (starting from $1 to $8 a month). Can you use any email to fax from your cell phone? Yes. It doesn’t matter what email provider you use, as long as you can access your email on your cell phone then you can start faxing from here. If you can access your email from any other device you can also use it to fax! Posted in Blog. Tagged with email fax, fax app, free cell phone fax, free fax app, how to fax from cell phone, online fax. Can I receive a fax on my iphone? Yes! You can receive faxes on iPhone, Mac and other Apple products with a simple, easy and affordable service that provides easy integration with your iPhone. Learning how to receive a fax on your iPhone doesn’t require complicated software or configurations, email fax services brings a professional, yet affordable, faxing solution to the table… and you can download a free iPhone fax app and try it on your iPhone within a few minutes and try it out for free! Sign up with an email fax service that can be integrated to use with your iPhone. When you start your risk free trial many providers will also give you a free online fax number (this can be a toll free or local fax number, some providers also offer international fax numbers). After you sign up you can add the email to where you would like all incoming faxes forwarded to. Some providers will let you add more then 1 email. That’s it! When someone send a fax to your fax number it will automatically be forwarded to your email where you can view it online and forward to another fax number if needed. Aside from being able to receive fax online via email or the providers online fax dashboard, email faxing can be used to receive fax on iPhone 4 and previous versions as well. You can send or receive fax by accessing your email from your iPhone or you can also download free iPhone fax app for iPhone if the provider has one available. Do you need a phone line to use email fax? No. Do you have to buy software? No. Do you have to pay anything for a free trial? No, but be sure to cancel before the 30 days are over if you do not wish to continue. Bottom line, using mobile phone fax solutions is a smart choice. There are no complicated steps to worry about, as shown above you can start faxing online in just 3 steps! Posted in Blog. Tagged with can receive fax my iphone, receive fax iphone, receive fax on iphone 4, receive fax on iphone app, receive fax on iphone with myfax, receive fax on mac, receive fax online, recieve fax iphone. Which saves you more money? A fax machine or an email fax service? Here is the answer upfront: Email fax. The fax machine is the loser, to start with how much does a fax machine cost? You need to spend at least $100 for a decent fax machine. So after you buy the machine, now you hook it up to your phone line? What if you don’t have a phone line? I really don’t know the answers to those questions because I don’t have to worry about any of that because I use email fax. Ultimately the phone company charges lots of fees to set up an extra phone line for your fax number and to send faxes out of state and internationally. On the other hand with email fax you can sign up for a free trial right now and have your own fax number and be able to send or receive a fax in just minutes. No installations, no complicates steps. Using the internet to fax is secure and reliable with the best rated providers. Be sure to check reviews and most importantly review the service yourself as well for free! Be sure to cancel your free trial before the 30 day period is over if you are not content with the service. Plans start as low as $1 a month to receive unlimited faxes via email! Posted in Blog. Tagged with email faxing, fax machine.